Detailing the physical features, habits, territorial reach and other identifying qualities of the Banded Ash Borer. A Banded Ash Borer can sometimes infiltrate an interior by implementing the famous Trojan horse strategy. Banded Ash Borers do intend to move indoors, but they are often brought in while still inside firewood. This skinny beetle is a good wasp mimic, which is a benefit in nature, but a likely death sentence in a home. A black body has a yellow band around the collar. The wing coverings have two large, yellow rings near the top. Below them are two angled yellow lines. The first one may look like the letter 'm' and the lower one resembles an upside-down 'V'. A small dab of yellow coloring sits at the tip of the abdomen. 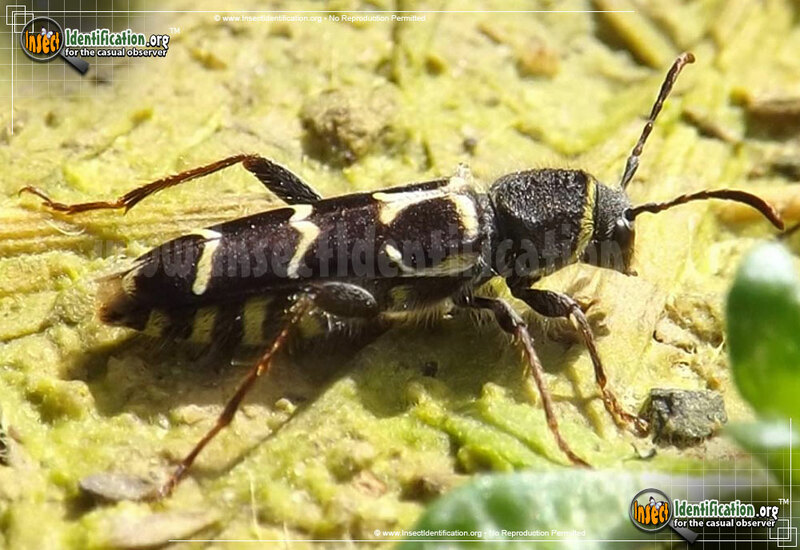 The underbelly of the beetle is also black with yellow bands, helping sell the wasp image from all angles. This type of beetle bores into the sapwood of ash trees as well as hickory. They are visible and active much of the year in the southern range from late winter to early winter later that year; less so in the north. One generation a year is produced, but the Banded Ash Borer sticks to host trees that are already sick, damaged, or dying. It is not a tree killer like the Emerald Ash Borer. If inside, it does not show interest in wooden furniture or other items so it does not take up residence. If found already inside a tree, pruning off the infected branches helps control its numbers.